As per a February 12 RBI circular, stressed assets in power, shipping, sugar and textile sectors would have gone under the hammer under the Insolvency & Bankruptcy Code. 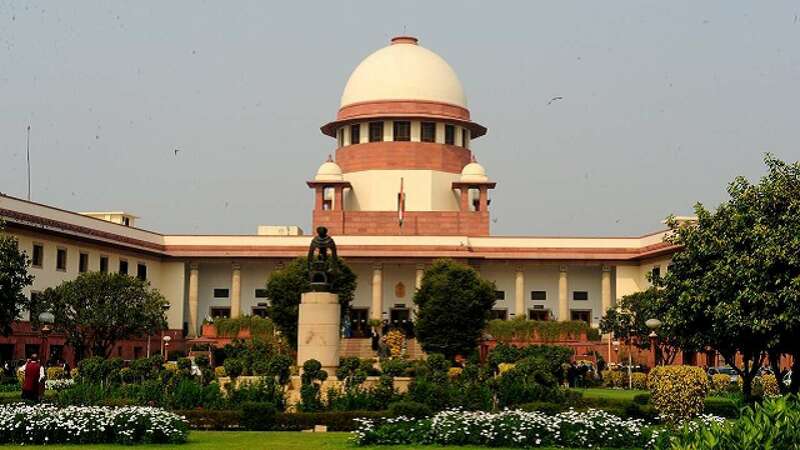 The Supreme Court on Tuesday granted temporary relief to loan-defaulting corporates in various sectors from facing insolvency proceedings — as was mandated by the February 12 circular of the Reserve Bank of India (RBI). The apex court has asked the banks to stay action against only those companies, however, that had moved the court, even as it transferred to itself all the cases in various high courts that have challenged the RBI circular. The bench comprised Justices Rohinton F Nariman and Indu Malhotra. The relief stands until the next hearing on November 14. The companies that have received the two-month breather belong to the power sector (facing the worst bad loan crisis at this point), the shipping sector, the sugar sector and the textiles sector. Those who had approached the SC included Independent Power Producers Association of India, the Association of Power Producers, South Indian Sugar Mills Association–Tamil Nadu, Dharani Sugar & Chemicals, the Shipyards Association of India, Punj Lloyd, the All India Bank Officers’ Confederation, and other groups representing shipyards and textile companies. The stay order came on the same day the RBI’s 15-day deadline for the banks to refer defaulting companies to the National Company Law Tribunal (NCLT) for insolvency proceedings expired. The 15 days were counted from August 27, when the 180-day period for banks to resolve the stressed assets ended. In the February 12 circular, the RBI put forth a revised framework for ‘Resolution of Stressed Assets’ — stressed assets are loans that have been partially or fully defaulted on. The RBI ordered that lenders to companies defaulting on loans of Rs 2,000 crore or above — as on March 1, 2018 — will have to implement a Resolution Plan within 180 days, or file for insolvency under the Insolvency and Bankruptcy Code (IBC) within 15 days from the expiry of the deadline. If a company defaulted after March 1, 2018, then the 180 days would be counted from the date of the first such default. In fact, the RBI circular even introduced the concept of one-day default, whereby banks must identify even a day’s delay in repayment as incipient stress and start a resolution plan. The banking regulator also scrapped a number of existing debt restructuring schemes for bad loans, even though banks were given other options to prepare a resolution plan. The tightening of norms by the RBI came in the wake of the worsening NPA crisis in the country’s banks (especially the public-sector banks, but also private banks) — the gross non-performing assets (NPAs) of all banks crossed Rs 10 lakh crore this March. The RBI classifies a loan or an advance as an NPA if its interest and/or instalment of principal remains overdue for a period of 90 days in respect of term loan. Ever since the RBI circular came out, the defaulting companies had been scampering for relief because insolvency would mean that the assets are sold for a song. The banks, too, were in favour of resolution of these stressed assets outside the Insolvency and Bankruptcy Code (IBC), as they would have to suffer huge ‘haircuts’ or loan losses, because they would not be able to recover the original amount they had lent, thanks to the diminished value of the asset gone bankrupt. The companies filed cases before the high courts of Delhi, Allahabad and Madras. But the RBI had appealed to the Supreme Court to get all such cases transferred to the apex court. The crisis has been most acute in the power sector — with 32 thermal power projects by corporates defaulting on loans of more than Rs 1.74 lakh crore. On August 27, as the RBI’s 180-day deadline ended, the Allahabad High Court denied interim relief to the defaulting corporate power producers. After this, 20 stressed power assets were identified to be referred to the NCLT for insolvency. Reportedly, these stressed power assets on the verge of insolvency were being eyed by corporates like Vedanta Resources PLC, Adani Power, JSW Energy and Resurgent Power — as these corporates would be able to bid for them at very cheap rates under the IBC, even at half or lesser of the original project cost. On September 10, the Madras High Court had granted relief to stressed power companies from facing insolvency proceedings. The Ministry of Power and the banks have been trying hard to come up with plans, including Project Sashakt, to resolve the stressed assets outside the insolvency route. A high-level empowered committee — headed by cabinet secretary PK Sinha, also former power secretary — was set up by the BJP-led NDA government at the end of July. According to Business Standard, nine of the stressed power projects are headed for resolution outside the insolvency route. The SC’s order will provide time to banks to resolve power projects of about 13 GW. “Where cases have been referred to NCLT after the RBI circular, there will be a status quo and where they have not been filed, they will not be referred to NCLT now,” senior advocate Mahesh Agarwal, who represented the power companies, was quoted as saying.